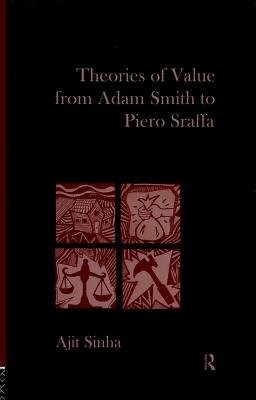 This book presents a comprehensive account of more than 200 years of controversy on the classical theories of value and distribution. The author focuses on four, perhaps most critical, classics, viz., Adam Smith's Wealth of Nations, David Ricardo's Principles of Political Economy, Karl Marx's Capital and Piero Sraffa's Production of Commodities by Means of Commodities. The book highlights several significant differences in the theories of the four authors as it searches for the ?classical standpoint? that separates them from the ?moderns?. It throws fresh light on some old questions while introducing new, controversial interpretations in the literature surrounding it. It is unique in its organisation as it first presents the author's close reading of the theories of value and distribution in the four classics and then critically engages with the major alternative interpretations and criticisms of the theories discussed therein. Bringing original insights on theoretical positions, the book challenges canonical interpretations so as to discuss and analyse the flaws and weaknesses, in addition to the already obvious strengths, of widely celebrated theories. The theories discussed here emerge from questions like: what role does demand or human psychology play in the determination of value in classical theory? Do classical economists determine the distribution of income within the context of a theory of prices and resource allocation? What role does the notion of ?equilibrium? play in classical theory and the theory of Sraffa? It will appeal to academics and students of economic theory and philosophy, as well as to the general reader.